The M.K. Gandhi Institute for Nonviolence is a nonprofit that equips people to use nonviolence to create a sustainable and just world for all. The Gandhi Institute collaborates with local organizations, academic institutions, students, and committed peacemakers in the following areas: nonviolence education, sustainability and environmental conservation, and the promotion of racial justice. We prioritize programming for people between the ages of 12 and 24 as well as those who serve those age groups. The Institute continuously offers groups and individuals training in skills such as Nonviolent Communication, meditation, and experiential interconnectedness, and fosters responses to systemic violence in the Rochester area through projects focused on urban agriculture, racial healing work, and restorative approaches to conflict. The Gandhi Institute is housed at 929 S. Plymouth Ave, between Flint and Magnolia streets and provides an inviting and safe place for a wide variety of groups to meet. We make our conference room freely available to groups on a donation basis, and we maintain a large community garden and outdoor book library that is available to all. The Institute maintains a collection of books, videos, and recordings which cover the lives and legacies of Mahatma Gandhi, Martin Luther King, Jr., and other important social activists. These materials are available for use by those seeking to learn more about such topics. By serving as a physical manifestation of Gandhian principles and Martin Luther King’s Beloved Community, the Gandhi Institute seeks to advance the cause of peacemaking regionally and beyond from within a neighborhood challenged by poverty and violence. 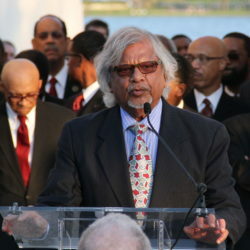 The Institute was founded by Arun and Sunanda Gandhi at Christian Brothers University in Memphis, Tennessee in 1991. Before moving to the U.S., Arun and Sunada spent years working in India on behalf of the country’s poorest people. Arun is the fifth grandson of Mohandas Gandhi. 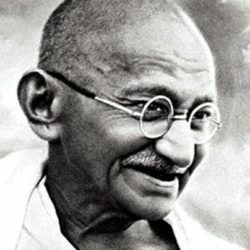 He grew up outside Durban, South Africa at Phoenix Ashram (the first center for nonviolent living that MK Gandhi founded in 1903) and spent almost two years as a youth living with his grandparents in India. Arun and Sunanda moved the Institute to Rochester in 2007. Sunanda passed away later that year. While no longer formally involved in the Institute, Arun continues to serve as an elder. He has offered opportunities for staff to learn with him during recent trips to India and South Africa to study nonviolence and Gandhian history. The Institute helps to manage the sales of his book for young adults, Legacy of Love, raising funds for the work of the Institute as well as a school in India that Arun helped to found for children rescued from child labor abuse. 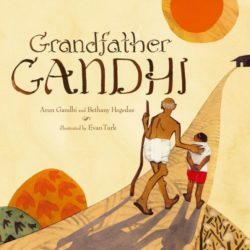 Among other recent achievements, Arun has written two books for younger children about his grandfather, the award-winning Grandfather Gandhi and, a new book in 2016, Be the Change. The Institute moved to the Interfaith Chapel at the University of Rochester in 2007 and to its current home in Rochester’s Plymouth-Exchange Neighborhood on 929 South Plymouth Avenue in 2012. The Gandhi House was an abandoned building for 17 years and has been lovingly restored by two friends and landlords of the Institute, David Knoll and David Skinner, along with their construction crew and a host of community helpers. The building provides space for 8-10 workers, a large community workshop space, a meditation room, and more. The house is adjacent to a ¾ acre lot which has been rehabilitated to serve as an urban agriculture project as well as a meditative green space available to the neighborhood.